Can I bulk update my To-do? 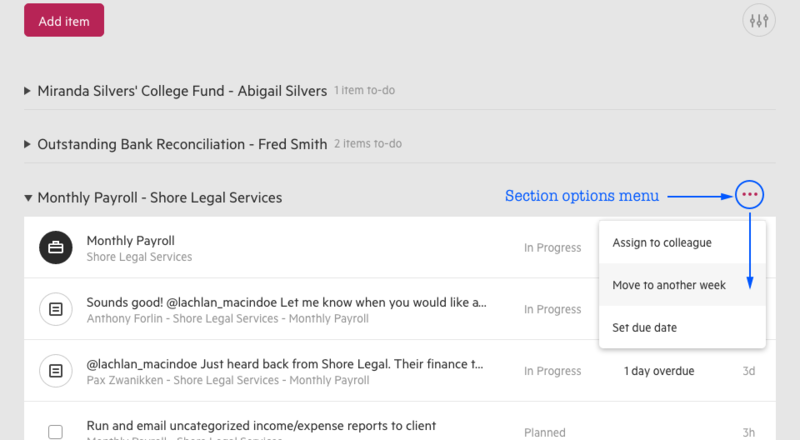 You can make changes to entire sections of your to-do list with one action. Yes, simply sort your to-do list using the sort & filter menu so that your items are categorized into sections. Hovering your cursor over a section title will display a menu (...), giving you the option to bulk assign all items to another colleague, move all items to another week, or give them all the same due date.